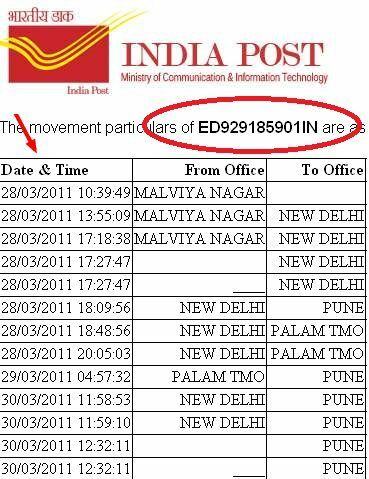 The most common tracking number format of India Post is Combination of 13 alphabetic and numeric characters, usually starting 2 alphabetic characters, following by 9 digits, and ending by “IN” (e.g. RE 000 000 000 IN). There are some other format also which can be track in the same way.